Welcome dear friends and new readers! It was time for a new look for my website and I’m happy to announce that today we go “live.” As part of my new website transition, I decided to switch over to a Word Press blog in order to keep my look uniform. I think my fabulous web mistress did a wonderful job with the new site. It’s more colorful and fun, in keeping with the terrific new covers I’ve been getting from Berkley. Please check out my Home page to get a look at the cover to my upcoming novel A Girl Like You. There’s also an excerpt button you can click to give you a sneak preview of the first chapter. 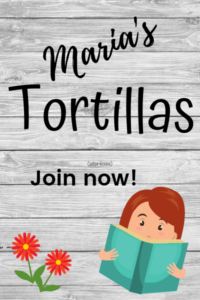 And don’t forget to check out my Fun Stuff page where I’ll post recipes and Bunco tips and my Appearances page so you’ll know where to find me. Also… check back next Monday, April 9th, for a terrific giveaway. I’ll be part of the Authors in Bloom Blog Hop where you can find gardening tips, recipes, book giveaways and lots more. The grand prize winner will receive either a Kindle Fire or a Nook, as well as a $25 gift certificate to their choice of Amazon or B&N. So stay tuned! I LOVE the new site! gorgeous!